L70 Yanmar Engine – Yanmar L series engines. L70 Yanmar Engine – Small Engine Services can supply a selection of Yanmar L series engines. Small Engine Services offer the range of Yanmar Engines including Yanmar Marine & Yanmar Industrial. We mainly supply Yanmar L100, L70, L48 engines, and our prices are often much more competitive than the recommended retail price. 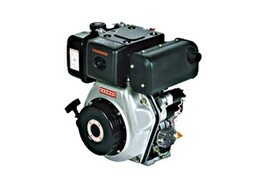 Compact, Direct Injection Engine = Easy Installation & Low Fuel Consumption. Keeping with Yanmar’s tradition of compact design, the new L-N series is simple to install and fits into cramped spaces with little effort and without sacrificing power and performance. Yanmar’s proprietary direct injection technology is highly fuel efficient, allowing the engine to sip rather than gorge on fuel. As authorised Yanmar main dealers, we can also offer the range of Yanmar parts and spares.